That’s too bad. Debt is certainly not without its flaws, but I think Jacobin has missed a good opportunity to connect David Graeber’s opus with the broader conversation economics on the Left. Mike sees Debt as “a move in an interdisciplinary struggle: anthropology against economics.” But most of the key arguments of Debt are better seen as part of an intradisciplinary struggle within economics. Admittedly it takes some unpacking, but Debt ’s key themes are in close harmony with the main themes of heterodox economics work going back to Keynes; while the “economics” that Beggs opposes to him represents only the discipline’s more conservative wings. A review of Debt by an economist in a venue like Jacobin could be an important chance for interdisciplinary bridge-building; it’s a pity it turned into an exercise in moat-digging instead. Mike has a whole wagonload of criticisms of the book, not all of which I disagree with. These fall loosely under four heads. First, Graeber’s “blithe dismissal” of mainstream economics; second, what Mike sees as the book’s excessive focus on the cultural and political superstructure of different systems of money, as opposed to their economic logics; third, the book’s substantive claims about the distinction between systems of commodity money and credit money; and finally, the more specific claims about the early-modern transition to capitalism and the contemporary world. Money begins, logically and historically, as a unit of social account for all kinds of obligations, not as a facilitator of exchange. We can distinguish two kinds of money regimes, one based on cash, one based on credit. Both have existed historically at different times and places, and the line between them corresponds to important social and cultural divides. It seems to me that these are all legitimate historical and empirical claims. And it seems to me that all three conflict with orthodox economics (operationalized as, say, the textbooks in a typical graduate economics program) but are consistent with the heterodox traditions of Marx and Keynes. Debt backs up each of them with an enormous wealth of historical material, though sometimes less than clear theoretical statements. In this sense the book is complementary to economics in the strict sense — it can be read as applying Marxist/post-Keynesian ideas to pre-modern economies, enlarging the application of these important threads of left economic thought. Let me develop each of these points. In the first section below, I argue that Debt ’s demonstration that money obligations are historically prior exchange of goods maps onto the insistence of Marx, Keynes and their successors that under capitalism, money values are logically prior to the production and consumption of real goods and services. The next section argues that Debt ’s distinction between money and credit systems is not just an exercise in classification, but corresponds to a distinction that has has preoccupied many classical and modern economists, and has important implications for monetary policy in addition to the vaster cultural and political-economic ramifications Debt focuses on. In the third section, I suggest that when Mike says that Debt exaggerates the importance of the system of payments, it is because he is coming from a narrowly orthodox view of what monetary economics is about, and why money matters. If your economic vision is shaped by more heterodox traditions — or by the responses to the financial crises of the past few years — the economics of Debt will seem more congenial. Once we have established the priority of money over exchange, we can turn to the second main theme of Debt , the difference between commodity money and credit money systems and the distinct cultural and political patterns each is associated with. In many ways, this is the heart of the book. Neither the idea that credit and commodity money systems are fundamentally distinct, nor the idea that they are adopted by different kinds of societies, are new to Graeber, of course. Indeed, you could think of this part of the book as a series of variations on Marx’s quip that “The monetary system is essentially a Catholic institution, the credit system essentially Protestant.” If you’re susceptible at all to the appeal of big-picture history, it’s hard to find these chapters less than exhilarating. In this piece I’m trying to draw out the economics of Debt , so I can only spare a few words for Graeber’s dissection of the social and political-economic processes that create notions of quantified obligations and the machinery for their enforcement. Which I apologize for, because in many ways it’s the richest part of the book. The discussion of the links between debts and fear of witchcraft in African societies decimated by the slave trade, or the way Roman property law was a generalization of laws governing the relationship between masters and slaves, are absolute tours de force. The parallels he establishes between the linked rise of centralized empires and cash money, and then the shift back toward decentralized forms of rule and credit systems, throughout the Old World from Europe to China, earn Graeber a place on the short list of world-systems historians, along with people like Giovanni Arrighi, Kenneth Pomeranz and Janet Abu-Lughod. His descriptions of the ways all kinds of social relationships get restructured and reinterpreted to fit the prevailing form of money exchange should convince even a skeptical readers that treating the establishment and enforcement of debt contracts as a central axis of world history is, at least, a productive research program. Unfortunately, I need to limit my focus to the part of that history that links up with current economic debates. For that, we need to first clear up some terminological confusion. Graeber distinguishes between systems of exchange based on “money” and systems based on “debt”; it would be better, I think, if he’d followed modern usage and referred instead to “commodity money” and “credit money.” A deeper confusion comes from the fact that, as alert readers will have noticed, we have two systems but three terms: commodity money, fiat money, and credit money. Commodity money consists of some physical good — gold paradigmatically — or is created by the financial system in more or less strict proportion to the available stock of that commodity. Fiat money is tokens designated by the state as acceptable for tax payments, or, again, bak money whose volume is closely linked to the available quantity of such tokens. Finally, credit money is created by private actors — typically banks — in quantities that are not constrained by the available stock of gold or “high-powered” state money. After some back and forths with Mike Begs over email, I’m convinced that a big part of our difference on Debt comes from the different ways we group those three terms. Mike puts commodity money on one side and groups fiat money and credit money on the other. Graeber, unfortunately, doesn’t spell out his position (it’s a fair criticism that the book as a whole is long on stories and short on explicit statements of theory) but the logic of the book becomes clearer when you realize that Graeber follows Schumpeter and groups fiat and commodity money on one side and credit money on the other. The essential lines of division are these: First, both a commodity like gold and distinct tokens minted by the state exist in a distinct quantity at any given moment, independent of people’s decisions to hold them or spend them, while credit is created and destroyed in the course of the transactions it’s used for; second, both state tokens (obviously) and a single monetary commodity imply a central authority, while credit can in principle be created by anyone; and third, in commodity and fiat systems something either is or is not money, while the claims and promises that constitute credit exist on a continuum of liquidity so that “moneyness” is a property possessed to different degrees by a whole range of assets. By setting up the main distinction as commodity vs. fiat money, Mike misses all this. He implicitly accepts the quantity theory of the pre-Keynesian economists and the monetarists, and he gets sidetracked by irrelevant debates about chartalism. (Admittedly, Debt to some extent invites this latter misreading.) To paraphrase Joan Robinson, in this review Mike may have Keynes in its mouth, but he sometimes seems to have Milton Friedman in his bones. “It is odd,” Mike says, “that Graeber claims that ‘you can no more touch a dollar or a deutschmark than you can touch an hour or a cubic centimeter’ – because there actually are things called dollars you can touch, carry around in your wallet, and spend.” And, “however far credit may stretch money, it still depends on a monetary base: people ultimately expect to get paid in some form or other.” And, most decisively, “What circulates [as money] need not be a physical thing, but it is a thing in the sense that it cannot be in two places at once: when a payment is made, a quantity is deleted from one account and added to another. That the thing that is accepted in payment may be a third party’s liability does not change this fundamental point.” These are all, quite simply, statements of Friedman’s quantity theory of money, refuted by generations of Post Keynesian economists but still carrying on its zombie existence in the textbooks. Open your wallet again: Yes, you see things called dollars, but most likely you also see a piece of pallastic labeled Visa or Mastercard. This is money too — you can buy almost anything with t that you can buy with the bills. When you do so, new monetary liabilities are created on the spot, linking you to your bank and your bank to the vendor. Nothing is deleted from anywhere. You do, of course, have a credit limit, but that depends on what you’re buying an who you are buying it from, and it can rise or fall for all sorts of reasons without changes in anyone else’s. This is the fundamental difference between fiat and commodity money, on the one hand, and credit money on the other. There is a fixed quantity of the former but not of the latter. Now if the maximum volume of credit that could be created by banks was closely linked to their holdings of gold or state tokens, it wouldn’t make a difference; and thanks to various regulatory and other constraints, this was more or less true for much of the nineteenth and twentieth centuries. But it is not true today. The idea of money as a”thing” that you “carry around” is fundamentally wrong as a description of today’s monetary system. These are not new ideas, of course. There’s a very clear statement of the importance of this distinction, for instance, in Axel Leijonhufvud’s classic essay on “The Wicksellian Heritage.” (Though of course written years before Debt , this essay shows you what the Graberian lens can do in the hands of a brilliant economist.) There he explains how Knut Wicksell, writing in the early twentieth century, “presented the pure credit system as a precise antithesis to the equally imaginary case of a pure cash system.” Monetarists, by contrast, insisted that regardless of credit creation by banks the economy always behaved like a pure cash system with a fixed stock of money, while “more recently, monetary general equilibrium theorists have generally been content simply to brush credit under the Miller-Modigliani rug.” For Wicksell the evolution from cash to credit could not be so easily denied or sidestepped. The problem, though, was that in a pure credit money system, where the creation of medium of exchange was entirely in the hands of the banking system, the price level would indeterminate, something Wicksell considered incompatible with economic stability. It was essential, therefore, that commodity or token money continued to be required for at leas some transactions. But the day seemed to be coming when the evolution from commodity money to a pure credit money system would reach its end point, and an arbitrarily small monetary base could be stretched without limit as bank credit became acceptable for all payments. These processes have continued apace since Leijonhufvud wrote this, and today we are well into the unfamiliar terrain of a pure credit money system. This has important implications for economics and policy (and, if Graeber is right, for the broader parameters of the social universe, though one shouldn’t put too much confidence in predictions on that front.) Most concretely, it greatly limits the ability of monetary policy to affect real economic activity. In a world where both the supply of liquidity and the structure of interest rates are, as they increasingly are, endogenously set within the financial system, it is not clear what central banks are supposed to do. You won’t find Wicksell or Leijonhufvud cited in Debt . You won’t, to be honest, find much concrete analysis of monetary policy at all. I don’t think this is a major flaw. Debt focuses more on the cultural forms associated with different monetary systems than with their economic logics. This strikes me as a perfectly reasonable spot to occupy within the intellectual division of labor. You can read Leijonhufvud to learn about the economic distinction between commodity and credit money systems, and then turn to Graeber when you want to think about the associated institutional, cultural and ideological superstructures. So I have to object when Mike writes, “In place of a materialist economic history, Graeber’s 5,000 years are organized according to a purported cycle of history in which humanity is perpetually oscillating between periods of “virtual money” – paper and credit-money – and periods of metal money. It’s not in place of, they are just two different places. The claim of a “cycle” is wrong too, I think. There is no cycle in Debt , only an alternation. Any system which can be in two states will sometimes be in one, sometimes in the other. Debt doesn’t offer a theory of the transition between one form of money and the other, and makes no claim that the alternation will continue forever. 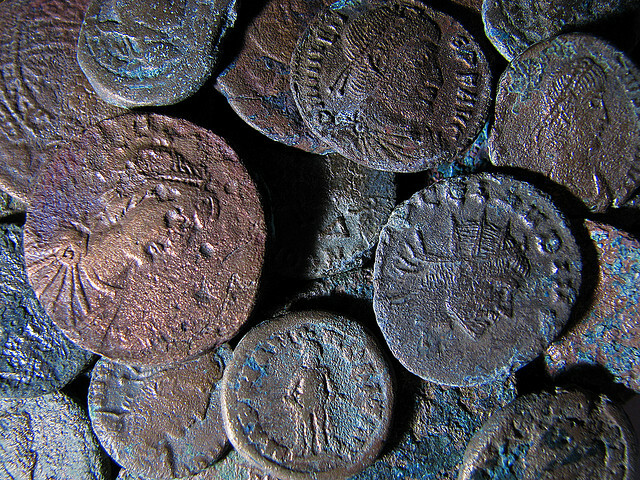 There is nothing mystical or anti-materialist about the suggestion that commodity money is typically associated with centralized states, slavery, law, bureaucracy, standing armies, abstract, dualistic religion, materialism, and individualism, while credit money is typically associated with dispersed, polycentric authority, weak states, a broader gradation of property-like rights, more dispersed forms of violence, and pantheistic, immanent religion. There’s no claim that the form of money dictates the rest of it, either — quite the opposite, Graeber makes it clear that the first general use of precious metals for exchange in the “Axial Age” was a response to the rise of militarized states, not vice versa. The basic approach of the book is comparable to the account of slave society you find in historians like Eugene Genovese, using a rich set of texts to link a range of social features to a key institution. Of course societies that relied on slave labor differed in all sorts of other ways, of course they all included many free workers, of course there are gray areas, forms of bound labor that fall short of slavery. But still, it’s not crazy to think that where slavery is generalized certain kinds of politics and ideology are more likely to be found alongside it. We all would reject an approach to slavery that insisted it be discussed purely as a mechanism for allocating agricultural labor and ruled out discussions of white supremacy or paternalism. But Mike’s insistence on a pure “social science” approach to money comes close, I’m afraid, to doing something analogous. If there is one argument that provides a thread through the whole narrative,” says Mike, “it is Graeber’s view that money has its origins in debt and not exchange, and that economics has always got this the wrong way around.” That’s right. To clarify the point a little, let’s say there are two sequences. One (the “economics textbook” one) goes from exchange of goods, to exchange of tokens representing goods, to exchange of commitments to give tokens representing goods. The other (the “ Debt ” one, though as I’ll show in a moment it’s found in economics too) goes from a variety of incommensurable obligations of people to each other, to a single standard to measure different obligations, to tokens representing units of that standard, to the use of those tokens to allocate goods. One source of confusion here is that these sequences can be either logical or historical. The real debate is mostly about the logical order, with historical claims acting as stand-ins on both sides. It’s certainly interesting to ask whether as a matter of history a barter economy came before an economy with debt contracts, or whether debt contracts came first and exchange of goods subsequently. But as Beggs rightly says, we don’t need to know the answer to this to understand economies today. What we do need to know is, should we begin our analysis of the economy, as almost all economics textbooks do, by first imagining it as a system of exchange of goods driven by mutual interest, and then bring in money and debt? Or is it better to start with a vision of an economy composed of units with obligations and objectives expressed in terms of money, and then ask how these money commitments shape production and exchange? Some people think it doesn’t matter where you start. I think it does matter. And more to the point, many leading lights of critical economics, from Marx and Keynes through Hyman Minsky and Perry Mehrling, think so as well. pointed out that the nature of production in the actual world is not, as economists seem often to suppose, a case of C-M-C', i. e. of exchanging commodity (or effort) for money in order to obtain another commodity (or effort). That may be the standpoint of the private consumer. But it is not the attitude of business, which is a case of M-C-M', i. e. of parting with money for commodity (or effort) in order to obtain more money. This is important . . . There lines up nicely with Graeber’s claim that most economists have gotten the relationship between money and exchange of goods backward. Certainly someone who has read Debt will see what Keynes is talking about here more quickly than someone who has only thought about money through the lens of contemporary economics textbooks — because I am afraid they are no less oriented toward a “real exchange economy” than when Keynes first made his critique. One important reason why the priority of debt matters — one reason it is important that capitalism is organized around M-C-M' and not C-M-C' — is that while goods are all substitutes for each other to some degree, to satisfy a money obligation, only money will do. Or as Keynes wrote in the General Theory, one defining feature of money is that its elasticity of substitution with other goods is effectively zero. This point helps make sense of Debt ’s discussion of the Spanish conquistadores and various other early modern tyrants, which Beggs has rather catastrophically misunderstood. He thinks that Graeber is moralistically arguing they were just for some reasons insanely greedy. But Graeber is saying just the opposite of this — that they acted as if they were insanely greedy only because of their need for money to satisfy a newly expansive and morally binding web of debts. “Greed” — mere desire for goods — can be satiated, or substituted with some other goods if the price is more favorable. But a money obligation must be met in full, come what may. What would you do for a Klondike bar? All sorts of things, if you believe the ads, but not, let us say, offer your sister as surety to a hitman. Not even for ten thousand Klondike bars, if it’s just a question of eating them. But it’s a staple of our culture that to settle a debt, you will do whatever you must, in violation of all kinds of principles you’d never question out of mere greed. This, anyway, is the story Debt is telling about Cortez, not some fairy tale of personal evil. It’s a story that only makes sense in a view of the world where there are fixed money obligations and an elastic frontier of social relationships that may be potentially mobilized to meet them, as opposed to a world where there is a fixed, known universe of dated commodities to be traded. Turning back to economics, the basic worldview Debt is presenting is similar to that of Perry Mehrling, who likes to think of every economic unit as a bank — as defined, that is, not by their endowments of physical goods, but by their contracted money incomes and obligations. Mehrling, at least, thinks it’s not a matter of indifference whether you start your analysis with exchange of goods or with money contracts; he even calls his approach “the money view.” One useful way to look at Debt , I think, is that it is providing a cultural and historical background for Mehrling’s money view, or for the similar money-first vision of Post Keynesians like Hyman Minsky. Minsky always insisted that using barter as its conceptual starting point was the root of the economic profession’s failure to make sense of financial crises and macroeconomic instability; what distinguished his “Wall Street paradigm” was that “cash flows and the network of financial interrelationships must be examined before considering issues of production and distribution.” One of Debt ’s most important contributions, for an economist, is putting concrete anthropological flesh on this paradigm. Now admittedly, Graeber himself emphasizes the historical question, not the logical one. And the clear connection I see between Debt and the money view is not spelled out in the book. (Filling these gaps is the job of us economists.) But if people come away from Debt with the understanding that money obligations are prior to exchange of goods, then they’ve learned something important. They will be better prepared to understand Mehrling, Minsky, et al., when they come to them, and those of us who already read them will have a fresh perspective on them, and new language to translate their arguments for our colleagues and students. Of course Debt is no substitute for those guys. But that’s ok. You’re allowed to read more than one book. The government may print the money, but it doesn’t print the price lists.” This nicely-turned line, which occurs twice in the piece, is evidently intended to capture one of Mike’s central objections to Debt . But I’m afraid what it better expresses is is the fundamentally conservative vision of economics on which, for some reason, he has chosen to base his critique of the book. “Modern monetary economics,” he explains, “has been concerned above all else with explaining the value of money, and the conditions of its stability or instability. This is a problem that concerns the role of money in organizing exchange via prices.” This is to frame the problem more than a bit narrowly. And this narrow framing, I think, is the root of the problem. Pre-Keynesian classical economists and their neoclassical successors would agree with Mike’s definition of monetary economics, but Keynes certainly would not, nor would most of his followers today. What Beggs calls the “modern” position is really the orthodox mainstream position, precisely what is rejected by old Keynesian and more recent heterodox economists. The great innovation of The General Theory was to show that money does not simply facilitate exchange, but helps determine the overall level of economic activity. In Keynes’s vision, changes in the supply of money do not simply lead to a rising or falling price level, they shape real decisions about investment and hiring. Beyond this, as subsequently developed by Minsky, Mehrling and others, the problem of money encompasses a set of questions related to economic units’ commitments to a schedule of money payments — questions about how much of a buffer is needed between cash inflows and outgoes, how and on what terms money is available in the case of shortfall, and what happens when money commitments cannot be met. Still another set of questions relates to the way economic life gets reorganized by the need to convert all kinds of economic claims into liquid, money-like assets, as our mutual friend Doug Henwood describes so powerfully in his book Wall Street. All of these are questions about monetary economics, in the broad sense, and all depend on the specific monetary system in place; none can be reduced to the conditions of a stable value of money. A few years ago, I would have said nothing worse of Mike’s piece than that he was presenting a bit too uncritically the standard textbook definition of monetary economics. But today, as deleveraging and balance sheet recessions take their place in the lexicon of respectable policy debates, and even the most orthodox central bankers admit society’s supply of liquidity must be managed with goals beyond price stability, orthodoxy is crumbling even its former citadels. So it’s a bit odd to see it embraced by soi-disant Jacobins. Today, when you describe the overriding issue in monetary policy as the “need to sustain confidence in the value of . . . currencies by targeting inflation,” you risk sounding more Catholic than the Pope. Mike says there is an economics-shaped hole in Debt ; but I can’t help worrying that there’s a debt-shaped hole in his economics. He goes on: “Unemployment disciplines money-wages and central banks have become the queens of policy, technocratic institutions isolated from democracy, their jobs too important and technical for that.” I know this is meant simply to summarize conventional opinion, and not to endorse it, but that’s only because I know Mike. If I had just the words on the page to go by, I would take it at face value. Because this idea of the heroic central bank technocrat, standing above politics, is just the practical corollary of the idea you can make a clean separation between decisions about “money printing,” and the prices set in markets. Let’s go back to that aphorism: “The government may print the money, but it doesn’t print the price lists.” What does that mean? Evidently, that there is a “price list” — that is, a set of relative prices — that is invariant to anything that happens to the supply of money or liquidity. This is a perfectly clear, coherent and respectable position. It also happens to be the exact position Keynes wrote The General Theory to refute. One of the two or three central claims in Keynes’s mature economics is that the rate of interest is a purely monetary phenomenon. Or as he puts it in the General Theory, “the rate of interest is a purely monetary phenomenon.” There is no natural rate of interest, determined by technology and thrift. There is only the market interest rate determined by the supply and demand for liquidity. Many different interest rates are compatible with macroeconomic equilibria at varying levels of aggregate activity. And needless to say, the interest rate is a price, a very important price; and it is a factor in a whole long list of other prices, namely those of all long-lived capital goods. The essential message of Keynes is that insofar as the government prints the money, it controls those relative prices. Indeed, for a one-sentence summary of Keynes’s view on this, you could do worse than: Because government prints the money, it can control the price lists. Keynes is not holy writ, of course. If Mike thinks the (neo)classical theory of the interest rate is more useful than Keynes’s liquidity-preference theory, that’s fine. He’ll have plenty of company in that, including a fair few bona fide Keynesians and leftists. But what is not fine is to give the misleading impression that that opinion is the only opinion there is. When Graeber argues that governments (or financial institutions) that control the supply of liquidity have a powerful lever of control over the real economy, he is not replacing economics with conspiracy theory; rather, he is taking one established position in a debate within economics. (The position, incidentally, taken by most, though certainly not all, economists who broadly share Jacobin ’s politics.) And if you believe that, then it follows that decisions about the money supply unavoidably have winners and losers. There is not a single possible price list but many, each corresponding to a different rate of interest — that is, to a different decision on money-printing. And which of them should actually obtain can’t be settled except by politics. One of Mike’s big objections to Debt is Graeber’s suggestion that the continued role of the dollar as the world reserve currency represents a form of tribute, enforced by the planes and guns of Battlestar America. And I agree, the book oversimplifies more than a little here. But it isn’t fundamentally wrong. The choice of world money is a political question, with real consequences. It’s also path-dependent, the result of a particular history. Mike’s modern economics rejects such claims; the dollar’s role is either optimal, or it’s irrelevant. And this, not just that it contradicts Keynes, is my biggest problem with the economics that Mike counterposes to Debt : It unacceptably narrows the space of political and historical choice. Reading Debt is no substitute for serious study of economics — Mike is certainly right about that. But if you do get your economics from Debt , you will at least come away with a few important ideas. First, that money contracts come before, and are about more than, the exchange of goods. Second, that some monetary systems are based on commodity money and some are based on credit, and the two behave quite differently. Third, and most urgently, that decisions about the money supply are not “too important and technical” for democracy. On the contrary, they are too important and inherently political to be made any way except democratically. All of these are departures from textbook stories about money but are right at home in the traditions rooted in Marx and Keynes. On the third point, especially, perhaps almost as much as with Occupy, Graeber has caught the spirit of the times. A lot of us are disappointed with the lack of political movement following the worldwide financial crisis of 2007-08, but on this point, at least, I do think the status quo is gone for good. Monetary policy as a purely technical exercise has been buried with the so-called Great Moderation. Whatever else happens in the coming years, I don’t think the cult of the central bank Maestros is likely to be revived. Debt ’s economic arguments are not always presented as clearly as they could be. But none of them are present at all in the typical economics textbook. They are, on the other hand, found in some form or another in the thought of a great many rebels, heretics and reformers within the economics profession. Debt , to be sure, is no substitute for Marx, Keynes and Schumpeter, for Minsky and Leijonhufvud, for Henwood and Mehrling. But it is a fine complement. The book is bursting with examples of how these alternative monetary theories play out historically. It’s not an anti-economics book; most of the people I know who are smitten with it are credentialed economics, more than one of whom has used it in the classroom. It’s a fantastic pedagogical resource, and anyone whose economics education includes Debt will have a much easier time understanding today’s big debates about money and credit. I can’t convince Mike to approve of Debt ; he doesn’t like the book, and as economists love to say, on questions of taste there is no disputing. What I do hope to convince him, and Jacobin readers, is that people who turn to Debt to better understand the political economy of money and credit are not wasting their time. (And with respect to the book’s critique of economics, I want to warn him, like the operator in the old ghost story, that the call is coming from inside the house.) It’s true that Graeber is an anthropologst, not an economist; the book does what anthropologists do best. By highlighting the historical diversity of human institutions for regulating, quantifying and enforcing various rights and obligations, he helps us see better the normally invisible machines that do the same task in our own society. The entries on the social ledger may be solemnified by shamans and amulets in a premodern society, and by credentials, legal contracts, and equations in our own. But their function remains the same. They remain human creations, contestable and ultimately subject to our collective judgement for better or worse. I should say upfront that I have huge respect for Mike. (We haven’t met in person but we have overlapping social universes.) This post is written as a critique of his Jacobin piece, and it’s inevitably a bit polemical. Since the piece came out, I’ve discussed this stuff with him quite a bit over email, and on many points we’re not so far apart. In this post I’ve chosen to focus on the published text, and to pose my disagreements with it as clearly — and so as sharply — as possible. But this doesn’t imply any larger divide between us. Actually, four. The last is the Polanyiesque point that exchange is only one of various ways that human beings organize the production and distribution of goods. But Mike doesn’t make any real objection to this so I won’t revisit it here. Of course there is (at least) one other possibility, to start from relations of production. Graeber has some very compelling things to say about the way the “cash” systems involve both anonymous, interchangeable means of payment and anonymous, interchangeable labor — slaves and/or wage workers. Whereas in “debt” societies both payments and labor take the form of more particular, embedded, graduated obligations. Probably the strongest critique of Debt is that it gets the relative weight of these two elements backward. Graeber, of course, reverses the terms, associating Catholicism and Protestantism — and their equivalents in non-Christian religions — with systems of credit and commodity money respectively. I must acknowledge that the passage continues: “But the credit system does not emancipate itself from the basis of the monetary system any more than Protestantism has emancipated itself from the foundations of Catholicism.” Yes, on that point, Marx contradicts Graeber and supports Mike’s critique of him. But I think that on that point Marx was wrong. Anyway, I am quoting him here to illustrate a different point, that there is a precedent for looking for socio-cultural differences between societies with more credit-based and more money-based systems of exchange. In the discussion on Crooked Timber, he suggested that he didn’t mean relative prices in general, but interest rates in particular. In email, he offered another possibility, that he meant the price level as a whole. I have a hard time finding either of those interpretations compatible with what he actually wrote, but in any case they are subject to the same critique I make here. You might ask — Mike did ask, in one of our exchanges — how I reconcile this argument with my own skepticisms about the effectiveness of monetary policy. The answer hinges on the distinction I made earlier, between a credit money system and a fiat money system. In an unregulated credit money system, as we have today, the government does not control the price lists because it does not print the money.